Deutsche Bahn said in a statement it booked a bottom-line loss of €1.3 billion last year, its first year-end loss since 2003, due to exceptional writedowns of €1.7 billion on its freight business. But the operator, which is also facing fiercer competition from long-distance bus companies, as well as in its regional networks, was also hit by the costs of a train drivers’ strike earlier in the year. As a result, underlying or operating profit declined by 17 percent to €1.76 billion. On the other hand, revenues topped €40 billion for the first time, rising by 1.9 percent to €40.5 billion, and passenger numbers in the long-distance business increased by 2.2 percent to 132 million. At the same time, the number of passengers using the bus and regional rail services of its regional arm, DB Regio, declined by 1.2 percent to 2.5 billion. “As pleased as we are about the positive numbers, we also have to be self-critical: we didn’t achieve what we had been targeting,” said chief executive Rüdiger Grube. In the cargo business, the volume of freight transported declined by 4.3 percent to 98.4 billion tonne-kilometres. Division chief Berthold Huber said that a reorganisation of the business was “necessary” and some 430 cargo stations across the country would come under scrutiny, without providing any concrete details about the number of possible job cuts. German news agency DPA quoted sources close to the supervisory board as suggesting that 3,500 jobs could be affected. 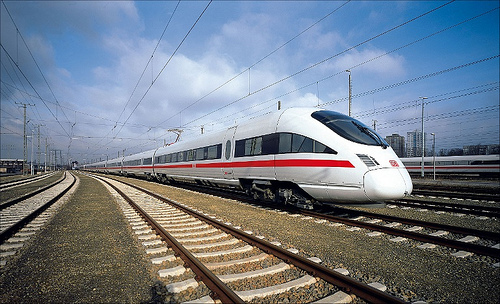 Deutsche Bahn’s mixed performance in 2015 comes at a time when the state-owned company is planning massive investments to improve the quality of its service and network.